Take the guesswork out of buying a gift. 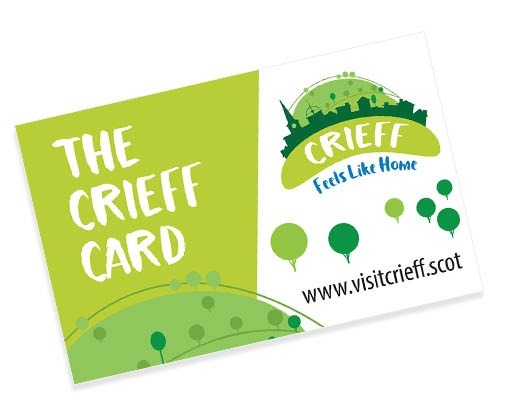 The Crieff Card is accepted by a huge variety of businesses from shops and restaurants, cafés and bars to hairdressers and beauty salons, gallery’s and garages. Buy direct from Fun Junction and Red Squirrel Café or buy it here online. The card works in the same way as department store/shopping centre gift cards but for the whole town.